Meet Bee Bee and Bella, two Scottish Terriers that have seen more of the United States than some of us will see in our lifetimes. 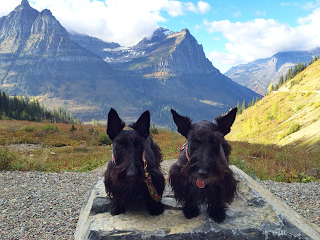 Having set foot in 29 of the 50 states, these Scotties are two of the most well-traveled pups we've encountered yet. 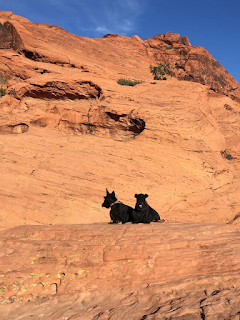 I know from firsthand experience that traveling with dogs isn't always easy and I wanted to know how their Scottie Mom manages to take Bee Bee and Bella to so many incredible places. 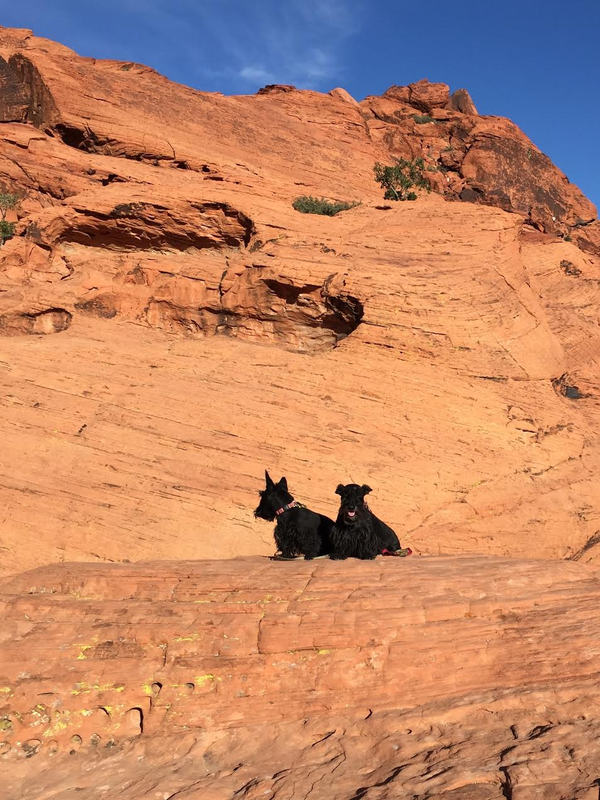 So, we reached out to her and received some tips for those of us wanting to explore more of the world with our pups. "What I love most about traveling with Bee Bee and Bella is to see how happy they are when we are checking in to new hotels," Scottie Mom Suzanne told us. "They will race down the hallway to get to the room we are checking in to and they get a lot of 'how cute' compliments from people." Bee Bee and Bella travel with their Scottie Mom and Dad by car to their vacation destinations. They typically stay in dog-friendly hotels but have used Airbnb as well. A travel blogger with an impressive 6.6 million followers on Instagram, Scottie Mom Suzanne says the most memorable accommodations have been the St. Regis in Aspen, Colorado and any of the Ritz-Carlton hotels. "When we travel by car, we use collapsible, soft crates," Scottie Mom Suzanne said. "They will stay inside the crates during our trips - it is more safe for them that way - and they love having their own 'home' during the trips. Bella loves staying in the crate at the hotels." 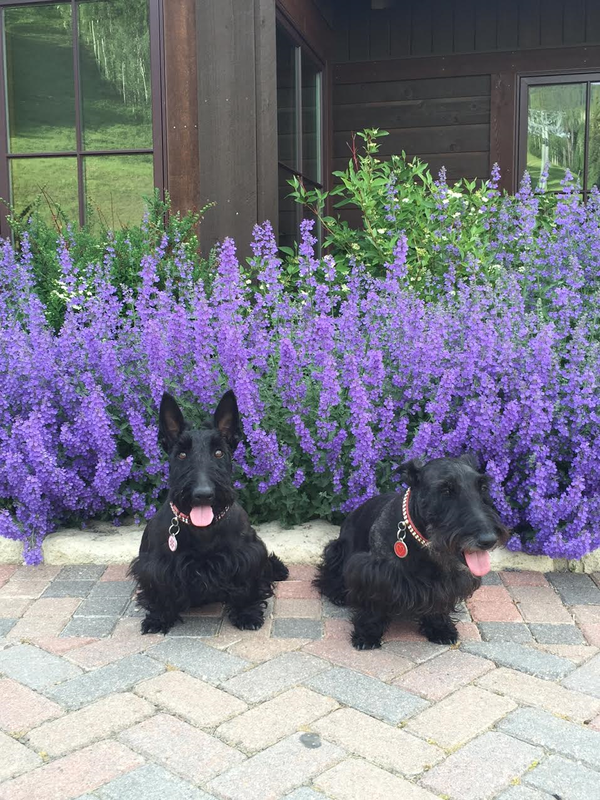 To make the pups feel more at home while traveling, Scottie Mom Suzanne recommends bringing favorite toys and blankets in addition to the pups' usual food and treats. These small creature comforts can help a traveling pup relax and have fun so they are even more excited to explore their surroundings when they set out with their humans for an adventure. 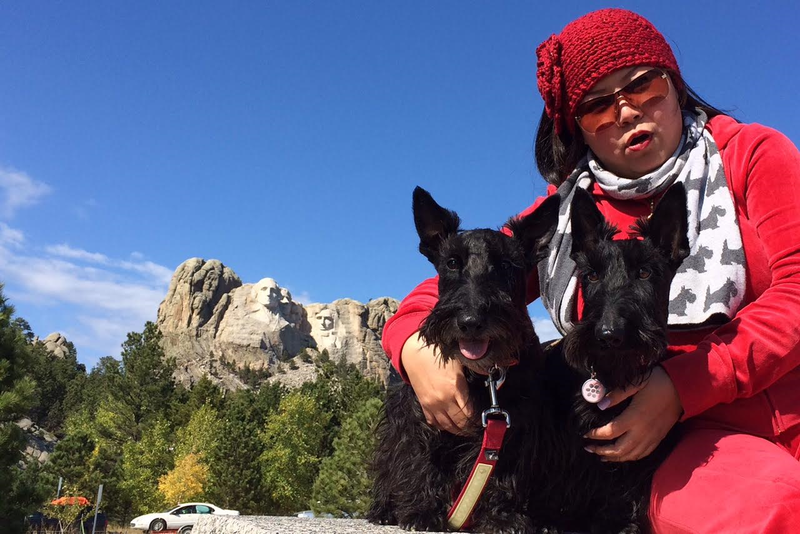 "I love taking Bee Bee and Bella to places we can walk a lot," Scottie Mom Suzanne said. "Some of our recommendations are Vail and Aspen in Colorado; Portland, Oregon; Glacier National Park in Montana; and Miami, Florida. People are very dog-friendly in Miami. One time, we were walking down the Lincoln Road Mall and somebody stopped us so they could take pictures of Bee Bee and Bella." What are Bee Bee and Bella's favorite parts of traveling, you ask? According to Scottie Mom Suzanne, they love discovering new places to sniff and terrier-tories to mark! Tell us: what are some pet-friendly places you have traveled with your pups? Kaci was taken on a tour of Glacier with a retired park ranger three years ago. Kyla was with us but Kali hadn't joined us yet. 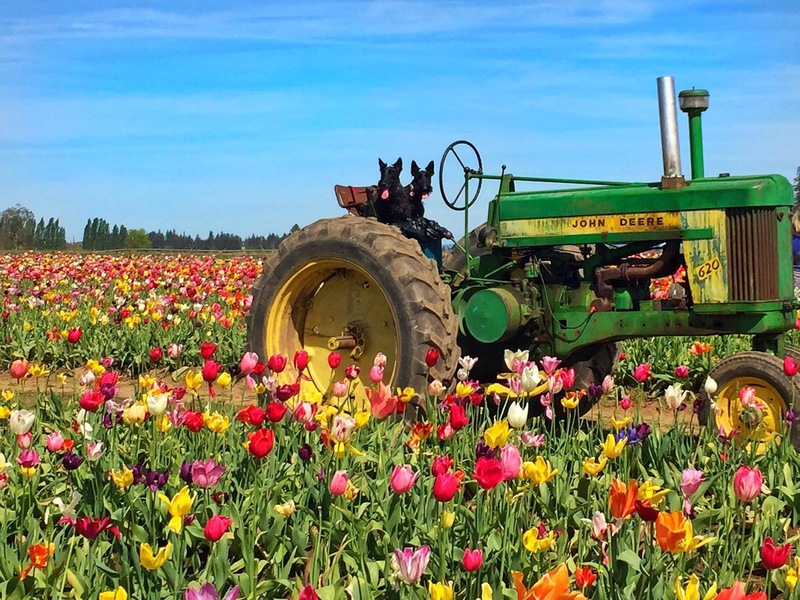 WOW Lee says she could live a dogs life to see those tulips. 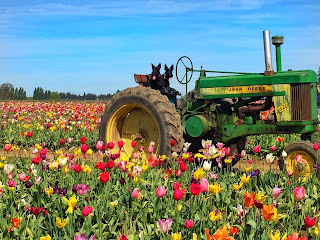 I wish that my Scotties were good travelers. Sid cries the whole time that he is in the car.Enjoy all of your travels.